By Gary Nisbet Doulton & Co. Established as a pottery by John Doulton in 1815 at Vauxhall, London, the firm became Henry Doulton & Co., of Lambeth, in 1858. They patented improvements in the production of stoneware, earthenware and china, winning medals for their wares at major international exhibitions, and flourished when terracotta was adopted by architects as a durable and easily produced building material. Important examples of their architectural work include Alfred Waterhouse's Natural History Museum, London (1873-81); Harrods Department Store, London (c. 1895-1911) and James Miller 's Anchor Line building, Glasgow (1907); the latter with sculpture from models by H H Martyn & Co. They produced statues, medallions, busts and other ornamental work from studios staffed by craftsmen and women, and students from the London art schools under the supervision of chief designer and their chief modeller George Tinworth . The fa�ade and sculpture on Fraser's Department Store, 45 Buchanan Street (1884-5); the Doulton Fountain, Glasgow Green (1888); the Sir Charles Cameron Memorial Drinking Fountain and Clock, Charing Cross (1896, designed by R A Bryden of Clarke & Bell in collaboration with Doulton's Mr Lightbody); a Parian Ware tympanum, by 'Dimsie', Kelvingrove Exhibition Buildings (1901, dem. 1902); the Hamilton Memorial Fountain, Maxwell Park (1907, dem. c. 1975) and the Balgray Fountain, Springburn Park (1912, altered, 1970s). The Doulton Fountain is the largest terracotta fountain in the world and was originally erected in Kelvingrove Park as the firm's principal exhibit in Glasgow's International Exhibition of 1888, and was relocated to Glasgow Green in 1890. Its design and construction involved the participation of the firm's chief designer, Arthur Edward Pearce, and the modellers, William Silver Frith, Herbert Ellis and Frederick Pomeroy, all of whose work was restored in 2005 by the firm of Ibstock Hathenware prior to the fountain's relocation to its present site outside the People's Palace. The dismantling of the fountain in 1999 was documented by Gary Nisbet, the author of the glasgowsculpture.com website, whose photographs form part of the restoration project's archive held in the City Archives in the Mitchell Library. Doulton's two other large-scale fountains in Glasgow have also been dismantled, although by vandals rather than restorers. These are the Hamilton Memorial Fountain in Maxwell Park and the Balgray Fountain in Springburn Park, both of which were designed by Frank Burnet, of the Glasgow architects Burnet & Boston. The Hamilton Fountain recalled the Doulton Fountain in that it was designed in the French Renaissance style and featured a standing portrait statue at its apex, the subject being Thomas Hamilton, a local baker, victualler and grain merchant, who used to hunt in the area before the park was created in 1890. Appropriately, he was depicted holding a shotgun and dressed in shooting garb and wearing a deerstalker hat. Also included in its ornament was a portrait medallion of his son, John, a storekeeper in Hamilton, Larkhall and Newton, who was the fountain's co-dedicatee, as well as panels bearing the heraldic arms of Glasgow, Hamilton and Pollok, and four grotesque dolphins at the fountain's base, ten lion mask waterspouts on its upper basins and eight dolphin reliefs around its outer basin. The fountain was gifted to the city by Hamilton's daughters and restored in 1953, but by the 1980s was derelict and a target for vandals. Later in the decade the fountain was dismantled by the City Council whose storage facility proved inadequate in defending the fountain's parts from further attacks from vandals, who broke in and smashed them to pieces and threw their remains into a nearby river. All that now remains of this once splendid fountain is its outer basin, which is used as a flower bed, and one of its dolphins, which now resides in the garden of a nearby house. The Balgray Fountain was also a grand affair, this time derived from the traditional Scottish mercat cross. 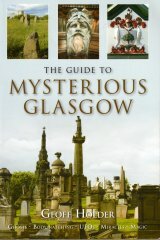 It was commissioned from Doulton's by Sir Hugh Reid as the centre piece of the Balgray Pleasure Park, and once featured a base ornamented with portraits of Sir William Wallace, Robert the Bruce, Sir Walter Scott and Robert Burns, as well as a relief of the steamships Comet, and sea monster water spouts. Above them was a tall column surmounted by an Ionic capital with four female heads between its volutes and surmounted by a unicorn holding a shield bearing the Saltire. This fountain was dismantled in the 1970s when the pleasure ground was cleared away, and the column and its unicorn were relocated to Springburn Park, where it stands today. The fate of its base and reliefs is unknown, although it has been suggested that the latter were stolen by vandals - a fate suffered by the unicorn as late as August 2003, or that the entire base was buried where it stood (the stolen unicorn was eventually returned). Doulton's other work in Scotland includes the important Famous Inventors tiles in Edinburgh's Caf� Royal (1901). Their Lambeth works closed in 1956, and the firm continued at its factory in Burslem , Staffordshire (est. 1882), until closing in 2005.